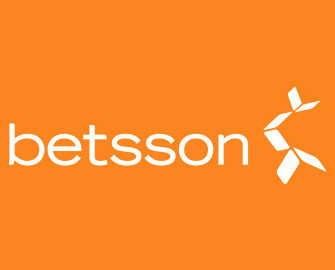 Bettson – Hugo 2 Coming Soon! Collect Free Spins for the new game and win up to €500 in cash! Get ready for the exciting launch of the new slot Hugo 2 by celebrating with Betsson to secure a guaranteed share of Free Spins. Wager on selected Play’n GO games between 20th and 22nd November 2017 to enjoy up to 50 Mega Spins, worth €1.00, on launch day, the 23rd November 2017. But that’s not all. For every €10 wagered on the selected games, players will receive one ticket to the €5,000 cash raffle. So let’s start spinning! 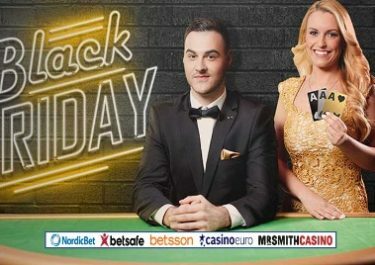 6th – 30th November 2017: November Blackjack Boost – Ten days left to join the coolest LIVE Blackjack championship at any participating Betsson Group casino and you could take home a share of the €10,000 cash, every week plus up to €800 cash, every day throughout the month. This is a network promotion and winners could be from any of the participating group casinos. Only play on the “Exclusive Blackjack 1-10 and Exclusive Blackjack VIP” live tables from Monday to Thursday qualifies for the promotion. Exclusive for players from Finland, Germany, Iceland, Norway, Peru, Poland, Sweden and Switzerland. The cute Hugo slot from Play’n GO is getting a sequel on 23rd November 2017 and Betsson is giving away up to 50 Mega Spins on Hugo 2. Join the celebrations and wager on a selection of popular Play’n GO slots to earn your Free Spins plus tickets to a €5,000 cash raffle. Eligible Games: Hugo, Er Fur Dai, Prosperity Palace, Mermaid’s Diamond, Moon Princess, Multifruit81, Matsuri, Aztec Warrior Princess, Book of Dead, Viking Runecraft. Only one amount of Free Spins per player on mobile or desktop. All spins will be added by 18:00 CET on 23rd November 2017 and must be played before 23:59 CET on the same day. Wagering requirement is 25x FS winnings within one day. Bonus terms and conditions apply. Earn one ticket to the raffle for every €10 wagered on the eligible games. On 23rd November 2017, Betsson will randomly draw 50 winning tickets and allocate the cash prizes in order they are drawn. All prizes will be credited with no wagering requirement by 18:00 CET on the same day.